1001 cartes: Happy Birthday Faye! Tomorrow is Faye's birthday and the Little Misses are all surprising her today with some cards! HAPPY BIRTHDAY my sweet and lovely Faye! I wish you all the best and I hope you'll have a wonderful day! 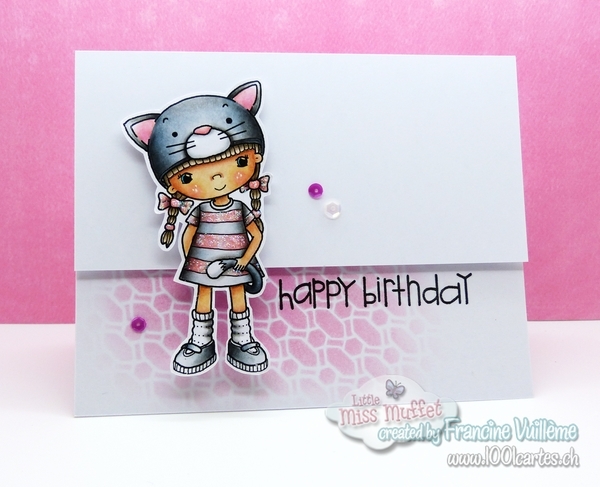 For my card, I used Swings ‘n Slides Lil’ Kitty from Little Miss Muffet. I colored the cute catgirl in Copics and added glitter to her dress (Faye LOVES glitter… Me too! So this is the perfect touch for both of us! lol). I did the background with a stencil using Distress inks and blending tools. The sentiment is from Paper Smooches. Check out the LMMS challenge blog for more inspiration and to celebrate Faye’s birthday with the whole team! THIS CARD IS PURR-FECT!!! That little girl is just so adorable and you added to her with your touches of glitter and superb coloring!! So excited about seeing this really fun, sweet and awesome card!!! I saw your wonderful card on Pinterest, and now I'm your latest follower! 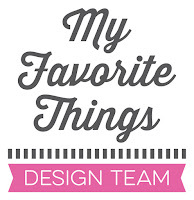 Your cards are fabulous - I love your style! !